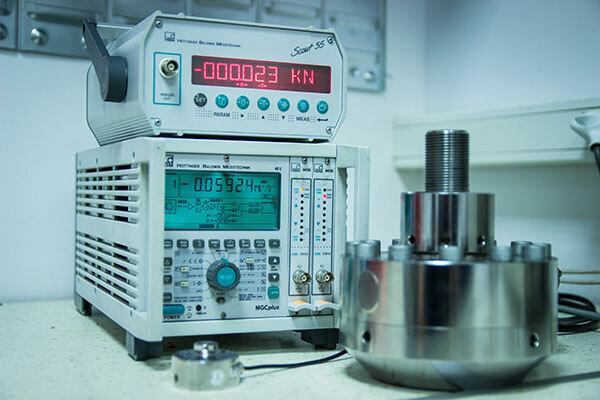 Our goal is to provide complete satisfaction to our customers, providing calibration services in accordance with applicable standards and delivering only quality measuring, testing and laboratory equipments. We provide technical assistance and free consulting! In our 23 years of existence and - 50 years experience - in measurement technique, we demonstrated that we are able to offer quality measurement services in accordance with the industry standards. Our current portofolio of measuring and testing equipments meets our customers requirements in various fields, providing quality first, affordable prices, fast delivery, warranty. Upon request, the measuring equipments are delivered with accredited calibration certificates or ISO-compliant certificates, with ensured traceability. Our suppliers are among the best in the world, selected according to the quality and performance of products delivered. Refer to the experience of our specialists, consult with them so you can make your best choice. 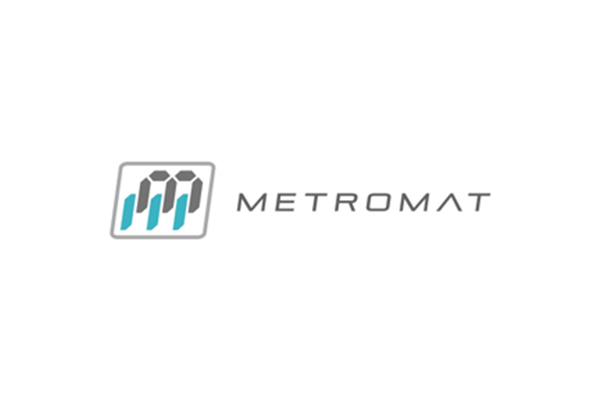 Our metrologist personnel has a wide experience, professional development is provided through participation in training courses organized by ROLAB, National Metrology Institute in Bucharest, various accredited laboratories in Germany, Denmark, Sweden and at manufacturers of measurement equipment. The laboratory of dimensional sizes ensure the best conditions in the transmission of the measurement unit of length. Equipment and standards of equipment meet the requirements of standardized labs and ensure constant temperature of 20°C ± 0.5 K and a relative humidity of 50% ± 4%. Excellent results in national and international intercomparisons are the guarantee for customer confidence. 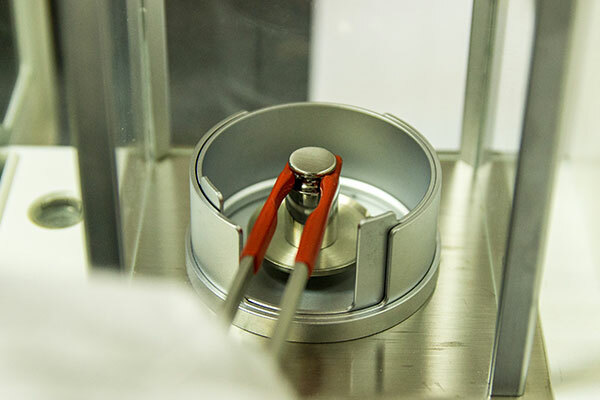 The laboratory has the capability of standard weights calibration under accreditation. Non-automatic weighing machines are usually calibrated at the customer'ssite of use, we have the necessary transportation and personnelfor this job. Electronic balances purchased from us are delivered on demand with accredited calibration certificates at a reduced price. The pressures laboratory entirely assure all components of the industry requirements in the field, from small pressures to 2500 bars. Upper class standards are calibrated at our lab, industrial devices may be calibrated at clientsites. 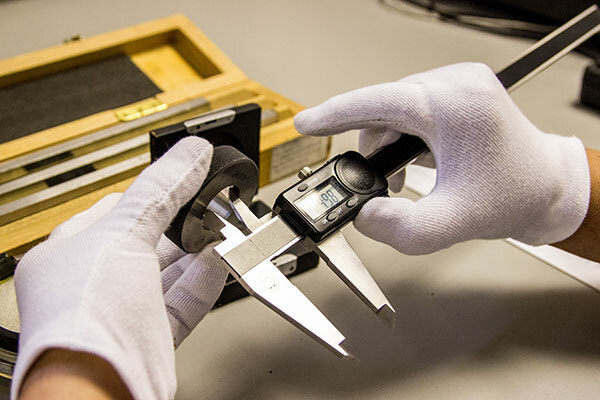 The laboratory has achieved excellent results at international intercomparisonorganized by the National Metrology Institute of the Netherlands. 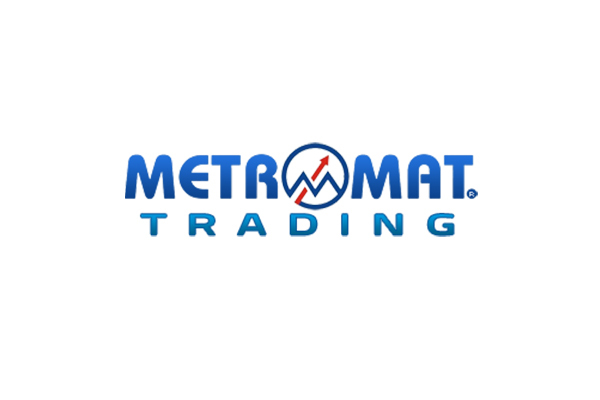 This area is relatively new to Metromat. After the implementation of the accredited calibration scheme for torque wrenchs and torque screwdrivers, we have made substantial investments to develop the forces laboratory, obtaining accreditation in 2016 for dynamometers and static materials testing machines for tensile and compression. 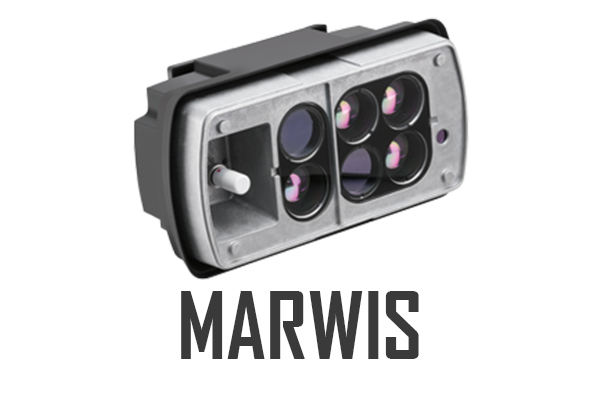 One of the most important industrial sectors where we operate is the aeronautics. At the request of customers in this area for the first time in Romania we have implemented the scheme for accredited calibration of durimeters Shore type A; A0; D for static testing of tires and plastics. 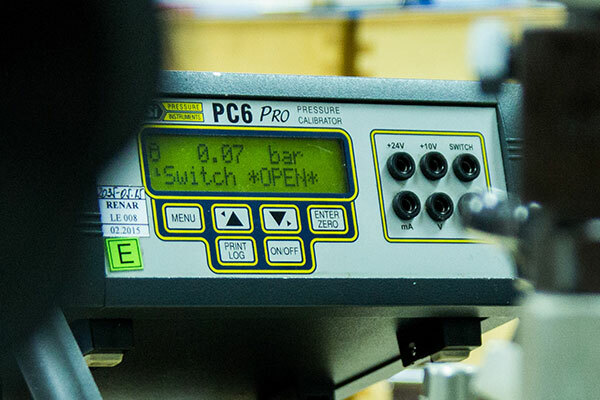 Calibration of durimeters like Brinell, Rockwell, Knoop Wickers is implemented in ISO calibration mode. Development of local medical laboratories, public health and microbiology both in the private and state owned environment, has favoured the creation of the microvolume laboratory. We currently have the capability to calibrate the entire range of volumetric piston machines and the glassware with graduated scales. The temperatures laboratory is one of the most well equipped laboratory in the country. We can reproduce temperatures from -80°C to + 1000°C. For on-site calibration we are using portable calibratorson the temperatures range from -45°C to +650°C. We have the necessary equipment for on-site calibration of thermostatic enclosures, ovens, incubators, sterilisers. 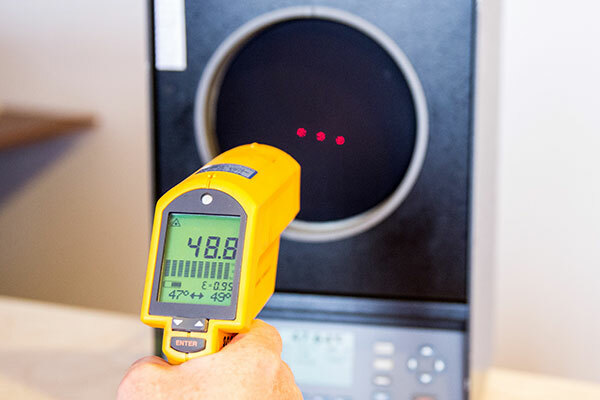 In ISO accredited regime we calibrate infrared thermometers and thermal imagers. 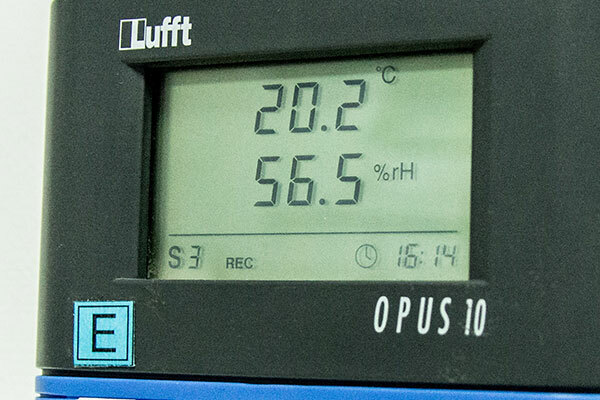 We reproduce the environmental conditions in the air in all its components: relative humidity, dew point, temperature, atmospheric pressure, speed. We calibrate the entire range of hygrometers, recorders and dataloggers in the range of 10% to 90% relative humidity. On-site we calibrate climate chambers in the range of 10% to 95% relative humidity. 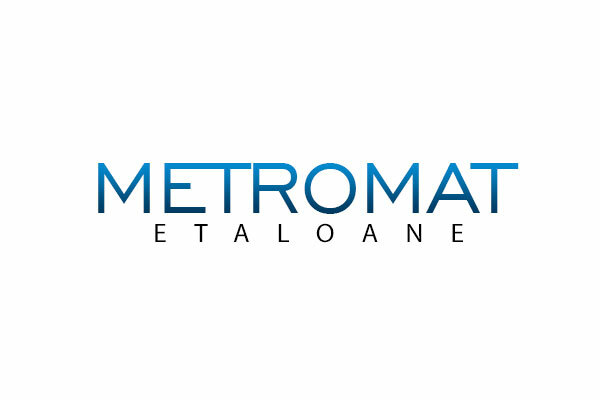 At this area we have the most extensive metrological experience. We provide services for companies with electric-electronic profile, both in our own laboratory and on-site. We are equipped with advanced equipment and highly skilled workforce. 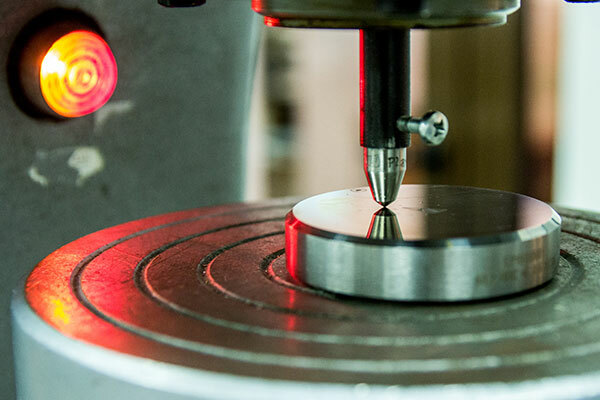 The lab has successfully participated in international intercomparision with the Czech National Institute of Metrology. 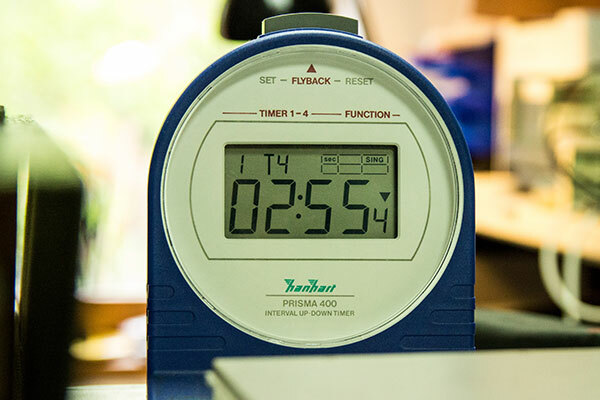 Mechanical and electronic timers, electronic timers, milisecondmetres, counters, oscilloscopes and signal generators are part of our calibration offer at the time domain. 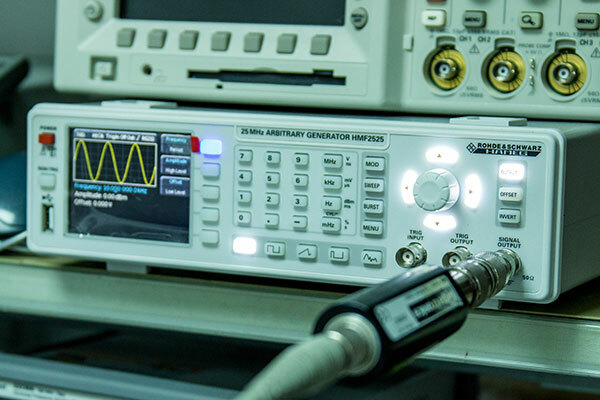 For frequencies we can calibrate frequency meters, counters, signal and functions generators. 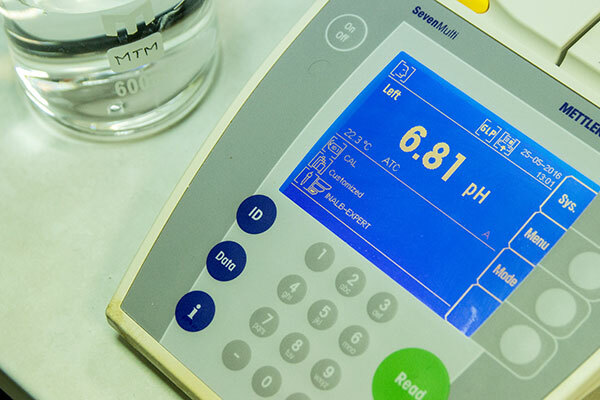 In ISO accredited regime we calibrate physical-chemicals parameters such as pH-meters, conductivity meters for solutions, conductivity meters for ferrous materials, flue gas analyzers. 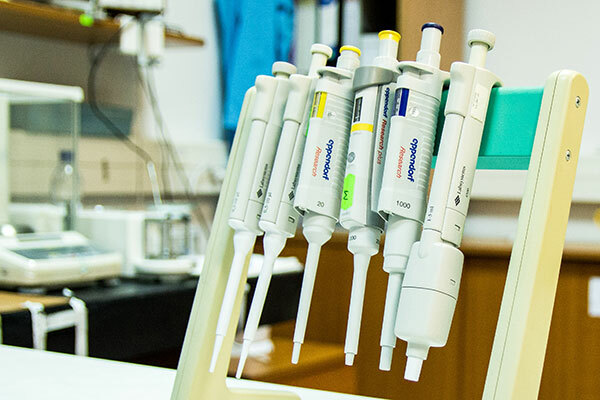 Depending on the customer's requirements, for these calibrations we use client reference materials or CRMs certified by accredited laboratories. Also, we calibrate in ISO accredited regime, anemometers up to 45 m/s, using a wind tunnel, unique in the country.